A new digital currency value-added service available to users of Cobo Cloud Wallet, BitGrow - DCR 30 Days is a 30-day low-risk DCR asset management plan (other currencies coming soon) that provides users with high-quality and convenient DCR asset appreciation through quantitative transaction trading. 【Lock Cycle】The lock-in period of this product is 30 days. Starting date of 30 day period begins on the 4th day after purchase. Locked-in assets may not be withdrawn before the end of the 30-day period. Plan purchases cannot be refunded. 【Gain Calculation】 Gains will be calculated from the following day after the user purchases the product (Purchase date + 3 day). Initial assets + gains will be transferred automatically after 30 days to users’ wallets. ** The expected rate of return mentioned in this product refers only to gains calculated in DCR. Cobo does not bear the risk of changes in the market value of DCR vis-a-vis other currencies. The lock-up period is 30 days, starting from the 4th day of the purchase date, and the principal and interest will be refunded once after the lock-up period, and will automatically return to the wallet. There are no other fees (e.g. redemption, management fees). A. After signing up for Cobo Wallet Cloud Wallet and completing KYC Level 3, click on the "Fortune” tab in the bottom row of the app. B. Click on the coin plan you would like to purchase and follow the instructions. C. If transferring from your Cobo Cloud Wallet account, your transfer of assets will have no transaction fee. 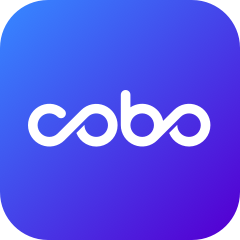 If you are transferring from another wallet, you may transfer first to Cobo Cloud Wallet and then enact an in-app transfer to your Fortune Wallet. D. After transferring your funds to Cobo Fortune, you just have to wait! In the meantime, feel free to check out your Fortune Wallet page to see your daily asset growth. After the lock-in period ends, Cobo will automatically return your assets + gains to your wallet.